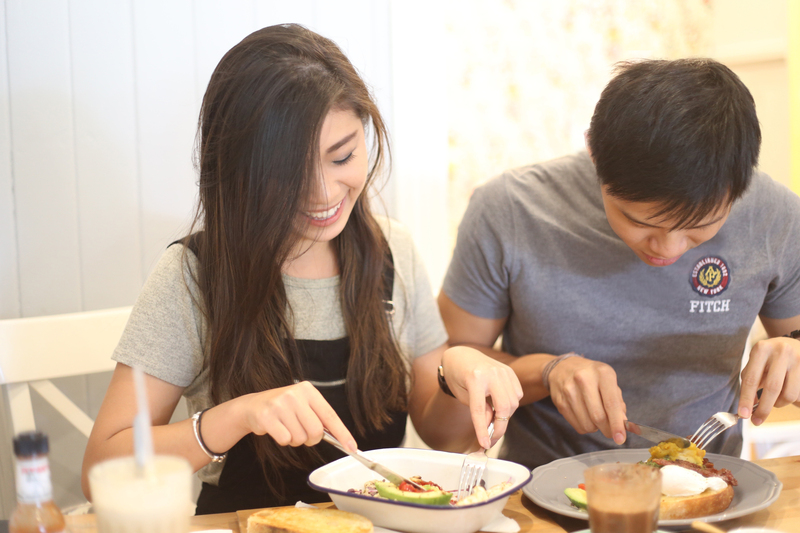 FOOD GUIDE: 10 Places In Brisbane To Have Breakfast ALL Day EVERY Day – STEPHANIE J. L.
There’s no better way to start your day than with the most important meal – breakfast! Granted of course, that not all of us night owls have an internal alarm to wake up at the unspeakable hours of 6am to 11am. This article is dedicated particularly to the late risers who single-handedly saw the rise in popularity of the term ‘brunch’, which loosely translates to having a meal in the afternoon because you missed the breakfast hour, and to those who craved breakfast for dinner and ended up having cereal. Well, no more. Here are your fellow Brisbanite breakfast lovers who are always ready to welcome you through their doors with an all-day brekky menu. As its name suggests, this funky and often bustling café is all about all things jam, chutney, relish and pickle. It has a special appreciation for honest and fun food with 12 ever-changing specials to make the most of the in-season produce comprising of quirky house-made condiment components. With an honest love for what they do, the cafe even welcomes interested food lovers and aspiring chefs to venture into their kitchen to see what’s going on behind the scenes! Stamped with their logo for “fresh + local, food + coffee = goodness”, Goodness Gracious Café is all about creating a culture of balanced health with a menu including the freshest ingredients sourced from their local suppliers. Not just the average tea and toast, their ‘something for all day’ menu includes notes of fine dining from their Mango tapioca pudding with wild rice ($15) to Smoked Eggs and Duck drizzled with truffle aioli ($17) and Red Wine Beef Cheek with a warm grain salad and tea soaked currants ($22) – all these with an option to upsize for just $6. Featuring gig posters, wooden stools, and outdoor seating, The Little Larder exudes a laid-back vibe with a casual yet gourmet all-day breakfast. Don’t let the name fool you – dishes here come in generous portions. Definitely bang for your buck and also not too far from a great spot to view the Story Bridge minus the hustle of Brunswick Street. 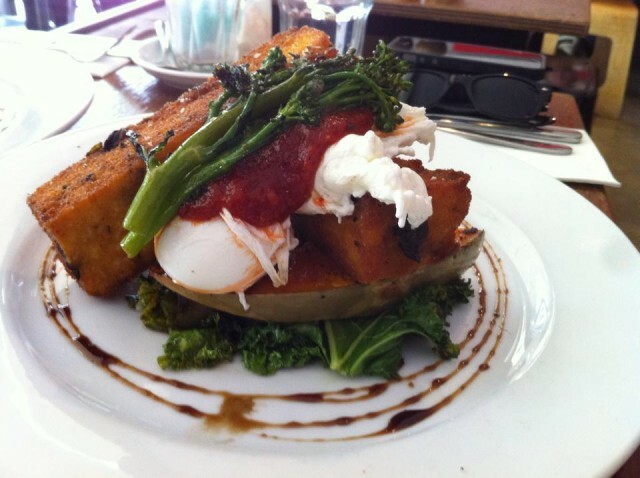 Here, local favourites include Crispy Polenta with poached eggs($18) as pictured above, Gluten-free Dukka Eggs on Rye ($15) or even lunch meals such as the Popcorn Chicken burger with maple bacon ($17) for a more interesting choice. … Click here to head to their Facebook page to give me a thumbs up, or click here for the original article!